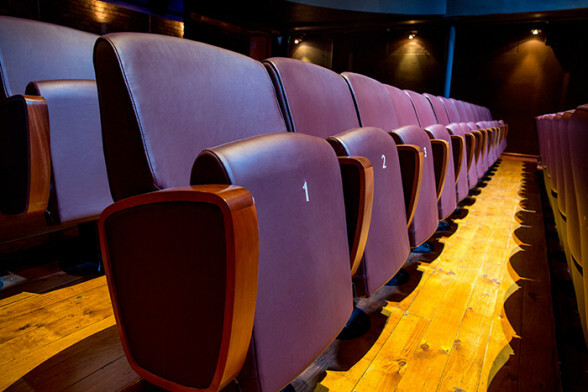 In 2011 the Fugard Theatre was fitted with state-of-the-art Cinema Equipment to transform the beautiful space, when required, into a fully functioning Bioscope. The Cinema facilities include a 7.1 dolby digital surround sound system and a full digital, 2k compliant BARCO cinema projector. A massive wall to wall and ceiling to floor high definition cinema screen completes the impressive package. Along with the annual World Cinema Season screenings and various in-house film festivals, the Fugard Bioscope is available for corporate and private rental and has played the ideal host to several world premieres. Come and enjoy world class Cinema presentations in the comfort of the beautiful Fugard Theatre.